Wow! It was totally refreshing to have a normal perspective on the adoption situation as opposed to social workers cramming issues onto adoptees or failures on adoptive parents. Yes, social workers have made some good contributions in making adoption more conscious of its effects but I do believe that they have gone overboard, e.g. the pendulum swinging in the other direction to the point of absurdity in over-compensation. It was nice for someone to finally point out that several issues are NORMAL for all people to experience and ultimately the individual is responsible for her/himself.— Kathleen Penzien, Esq. 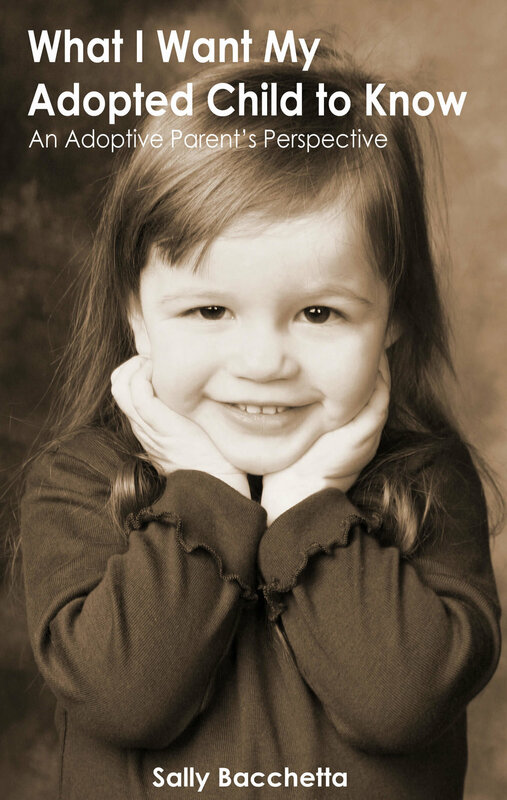 A must read for all adoptive and waiting adoptive parents!!! Sally has written a narrative which is heartfelt, honest and warm. She’s told her story truthfully and without sugar coating, but also with knowledge from which I would have benefitted had the book been written before my family embarked upon our own journey to adoption. I can identify with Sally’s story—I have seen it repeated over and over again—with my friends, with my clients, and my family. And we adoptive families have all traveled the same paths about which Sally has written so eloquently and emotionally.